There have been many valid questions raised as to just exactly who is running the much talked-about “TEA Party.” Is it Rush Limbaugh? Sara Palin? Glenn Beck? Joe Wilson? Rupert Murdoch? Nope. It’s a dead author. An egomaniac novelist-philosopher that makes up some of the founding principals of libertarianism, but certainly was not directly involved with the conservatism movement in the least. 1. If you are poor, it is always your fault. 2. Asking for and receiving help is always wrong and a weakness. 3. Drive all compassion out of yourself. 4. You and your view are perfect, and cannot be wrong about anything. 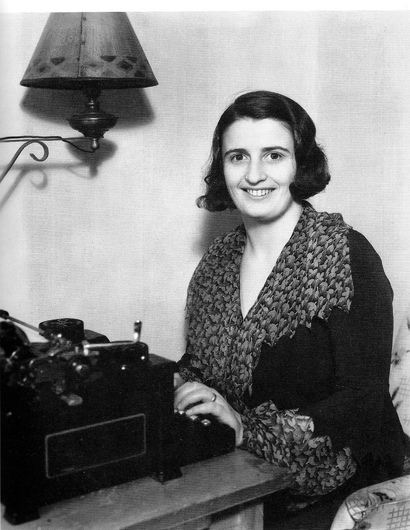 Gentlemen’s Quarterly (GQ) has named Ayn Rand “Writer of the Year of 2009” and Andrew Corsello spoke in his article of the “youth appeal” to Rand and as to his own experiences with her writing that greatly mirror my own. 2,000 pages of you’re-either-a-lion-or-a-leech ideology, loathing over Shakespeare, Beethoven, Marx, government, “subnormal” children, “simpering” social workers, homosexuals, and all of it with no grace, no subtly. Philandering Republican Governor Mark Sanford was hiking the Appalachian Trail with Ayn Rand in the November 2nd issue of Newsweek. 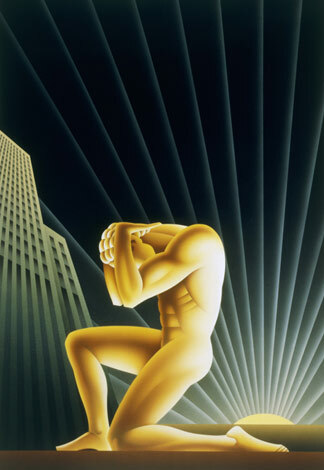 Ayn Rand has shifted in and out of favor, but she may be more relevant today than ever. I feel I have the answer these people seek, as to the identity of John Galt. “John Galt” is nothing but what you read now, something that came from the mind of another. I created “Little Suzy” for the sake of a online discussion in regards to the health care debate in the U.S.
“Little Suzy” and “John Galt” are one in the same, yet different sides of the same coin. Pure fictions created solely for the purpose of enforcing a point of view. 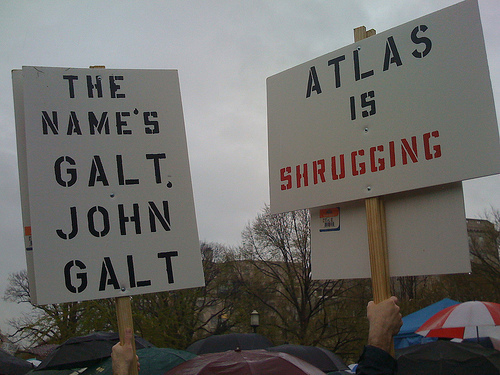 In the case of “John Galt,” he is a construct for the protagonist to encounter and in the case of Ayn Rand’s writing to promote the concept of the “individual capitalist.” In the case of “Little Suzy,” she is a collaboration of non-fictional individuals in the real world who have suffered at the hands of the for-profit medical insurance agencies and she exists as the protagonist and the insurance company actuary the antagonist in a story where she dies from treatable cancer after being exempted from insurance coverage. She is the little girl who died because anytime someone speaks of health care reform in the U.S. the hounds of arrogance and venom are unleashed by the nearly completely partisan right-wing, thereby serving no purpose except to prevent all rational debate and civil discourse over the facts. Completely false and obviously founded in high levels of hubris. Nobody can ever be “wrong” about their own opinion. You can, however, be inaccurate about the facts. The rejection of all facts is not “objective,” nor is it representative of “individualism” so much as it is a practice of willful ignorance. 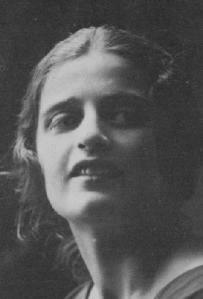 I feel I must disclose that part of my distaste of Ayn Rand is more complex than simply that I believe she is over-rated and outright immoral; it how she very much resembles myself in certain ways. I am a writer, but like Ayn I do not simply “write.” From one writer to another reaching out across time I must admit I feel some connection to this woman. In my more jocular moments I speak of how the real problem with the world today is that nobody is listening to me as how to get things done. In a strange way, I suppose I could explain her appeal to someone who was completely flabbergasted by the nature of all of it. But I laugh good and hard about how silly and arrogant I sound in those moments, whereas Rand was actually serious about similar statements. There is a big difference, in the end. I am composing a piece of societal-commentary right next to the creation of my own philosophical foundations along with simply writing fiction and short essays. I am prone to start coining -isms and start throwing them around as if there is a movement going on. I am a “populist for peace,” a “realist for media-integrity.” And so on. Perhaps most profoundly is that in haste and inflamed passion I might lean toward alignment with this notion that I am vindicated by some gift of intellect over any misdeeds I commit; that I can treat my opponents in a way that I would never wish to be treated and they are the ones at fault not I. When one takes a hard step outside of the ideological boxes that people like Ayn Rand and myself tend to create around ourselves it becomes clear that the two of us did share some common bonds beyond simply both being fiction writers. In the name of compassion and mutual understanding I have to come to know this piece of what I call “wisdom” as to Ayn Rand’s similarity to any person who strives to take their writing and use it as a tool to display what they see in the world. Alan Greenspan was one of many Randites who have come to see the failing in their former logic. Conservatives and libertarians greatly ignored and widely dismissed Greenspan and his unsubtle rejection of these “Ayn Rand Economics” or “Free-Market Capitalism” styled politics that he had once been a strong advocate of. I contend that these people do not care to explore flaws in their ideological stances and instead (in greater and greater numbers it seems) only seek to create an atmosphere of me-versus-you if any person is in anything but outright agreement if not an atmosphere of outright violence. Ideals like “selfishness is a virtue” and “greed is good” above all else drove us into a lasting national recession while the GOP and the TEA Party continue to advance the abandoned ideologies of Greenspan that ultimately serve only to make the rich richer and the poor poorer. The disgusting and shameful element being that was the stated goal of these ungracious self-serving monsters to begin with: a ruthless war on the poor and the middle class. Dishonesty and willful ignorance dominates the TEA Party, right along with the radical GOP, leaving me to assume that no less than Ayn Rand coming from beyond the grave is the one who is truly running the party.